Patch Striped Tunic Just $9.99! Down From $35! This deal ends on December 10! 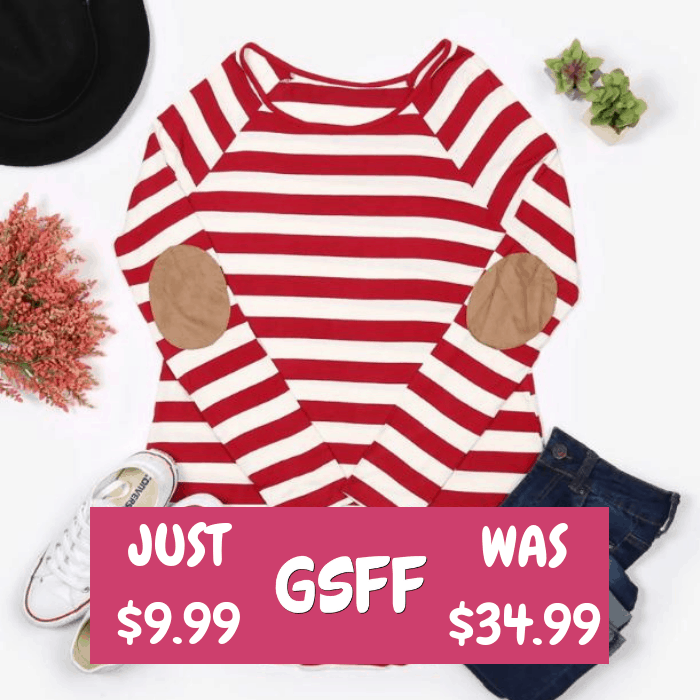 Hurry over at Jane to score this Patch Striped Tunic for just $9.99 down from $34.99! Shipping is $3.99 for the first item and $1.99 for each additional item! Made with a cotton-modal blend fabric for softness and a lightweight fit, this long-sleeve elbow patch top features a boat neckline, a dolphin hem and a classic horizontal stripe design that creates a flattering silhouette. The long fit makes it incredibly easy to wear tucked in or out of bottoms.